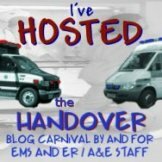 One of the most enjoyable things I get from doing this blog, is the interaction and discussions that I have with other EMS bloggers regarding the differences we have in how we do our jobs. What has become apparent is that our patients, no matter what country they are in, all seem to have the same problems, illnesses, trauma and sometimes unrealistic expectations about what we do as emergency healthcare providors. I get fairly frequent email requests to explain certain things and to discuss specifics about how we do things in the UK. Everything that we do is governed by a group called The Joint Royal Colleges Ambulance Liason Committee, and they provide guidelines to assist us in our clinical decision making. These guidelines are freely available on the internet to view and can be found here. If you have ever wondered about any specific differences in international treatment regimens, then have a glance through our “prehospital bible” and see how we over here in the UK compare with you wherever you are. Love the blog, love the content. It’s a great insight. Mountain Rescue protocols and guidelines aren’t all published, although our medical protocols are based around Dr. John Ellerton’s book “Casualty Care in Mountain Rescue” (ISBN: 978-0950176574). It’s an interesting read, most medics I know who’ve read it are surprised by how involved some of the care that we offer is bearing in mind that we’re volunteers.